A second sink opens up the possibilities in a kitchen. With more than one sink, two cooks have room to work at the same time. Whether your kitchen is large, medium or small, you can probably find the perfect place for another sink. Before installation, think about your current kitchen layout. What do you like and dislike about the design? What are the kitchen’s limitations? What problems do you want the new sink to solve? Once you establish your goals, work with your contractor or plumber. Installing a sink means you’ll need new plumbing. Depending on your home, plumbing a new sink could be either simple or complex. Simpson Plumbing can help you choose the right spot, one that makes sense your kitchen and budget. A separate workstation: They say that more than one cook in the kitchen spoils the soup. When you build a completely separate workstation, two people can work simultaneously without tripping over one another. The soup won’t suffer and neither will your relationship. In an island: This is one of the most popular and practical places to install another sink. With a sink in place, your island becomes an independent workstation, where you can prep and washup. Place the sink at one end to keep most of the island’s work area open. On a peninsula: As with an island, a sink in a peninsula gives your kitchen a second independent workstation. You can position the sink so it’s accessible on either side of the counter. If you use your peninsula for eating, place the sink where it won’t get in the way of diners. Next to the main sink: Your second sink can be right next to the main one. If all you really need is another wash station, two side-by-side sinks can be the most convenient solution. Installing new plumbing will be simpler, and all the accessories that go with a sink are consolidated in one spot. In a pantry: If you have a walk-in pantry, a sink takes it from a simple storage area to another workstation. Running water means you can prep food right next to where it’s stored. Wet bar or coffee station: Entertaining is easier when you have a wet bar or coffee station that includes a sink. There’s something luxurious about having a sink just for making beverages! 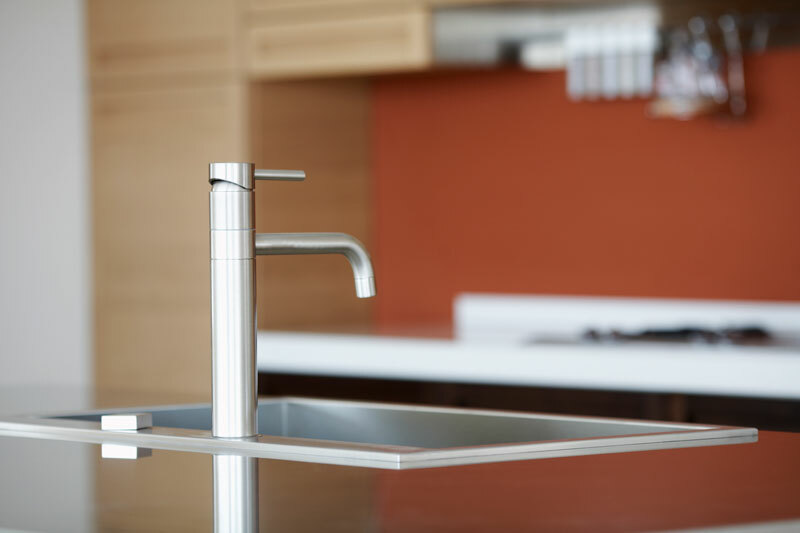 Contact Simpson Plumbing to plumb and install new fixtures or handle your kitchen remodel.